Inspired by British folk art, flora and plants, my pattern-focused approach to design is playful and expresses the joy of making by hand. 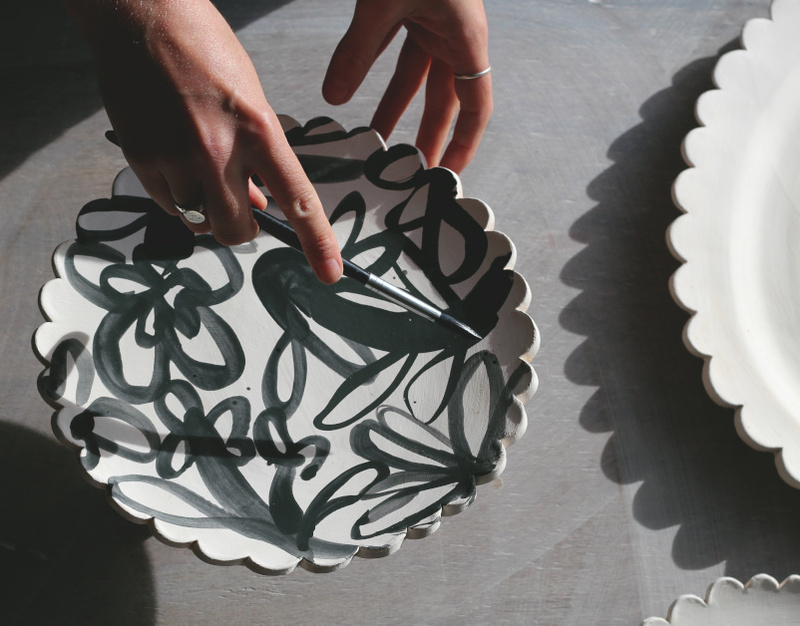 My practice explores the translation of drawing, mark making and pattern onto functional objects and surfaces. 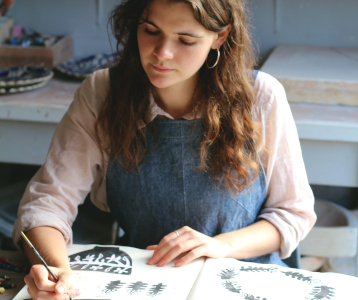 Rachael’s pieces are all shaped by hand before they are fired, glazed, and then fired again. 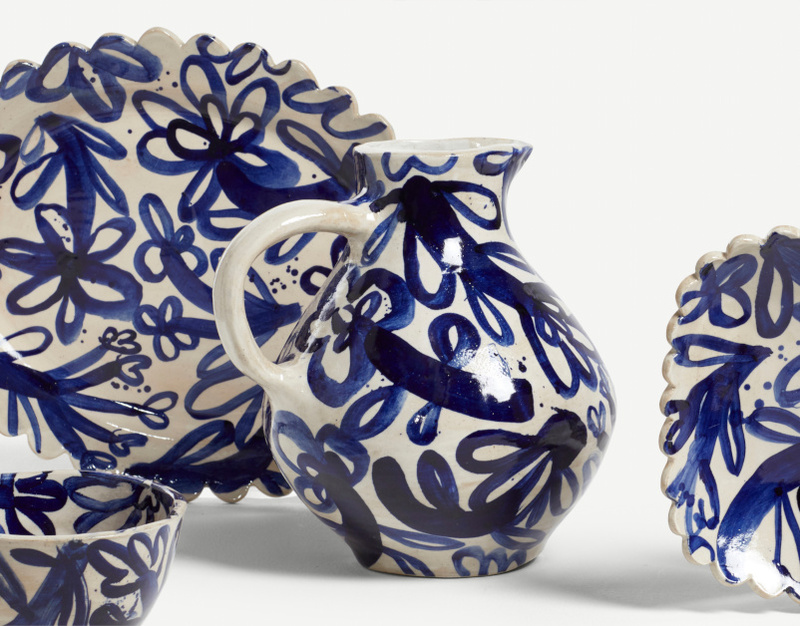 Each is decorated using slip and blue cobalt oxide to create her signature bold, painterly floral forms.